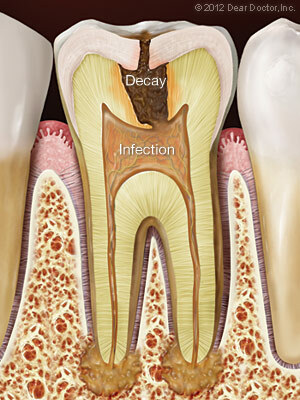 During the examination that shows that you do need root canal therapy, we will go over the process and what needs to be done in order to complete the procedure. 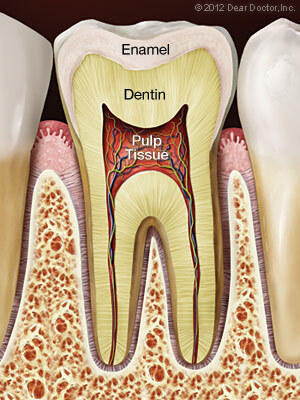 Don't worry, a root canal is one of the most routine and effective procedures in the arsenal of dental treatments. 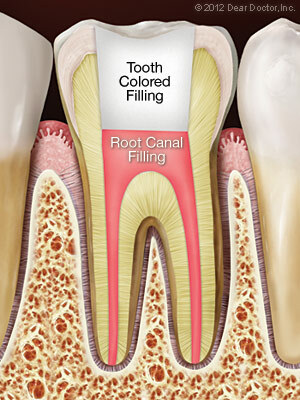 Most root canal treatments can be be accomplished in just one visit, and Dr. Timpton will answer all of your questions, as well as how long it will take to recover. If you feel constant and severe pain and pressure in your mouth, or noticeable swelling and extreme sensitivity in your gums, then it's clear you need an evaluation and treatment right away. Another telltale symptom of pulp tissue damage is sharp pain when you bite down on food. Lingering pain after eating hot or cold foods is also an indication of potential trouble. If you notice any of these symptoms, you need to have an examination as soon as possible. call Carmel Commons Dental at (704) 540-2443 today!